Day 11 of 100 Things to do on Sanibel & Captiva takes us to the Sanibel Rotary Arts & Crafts Fair on February 14th & 15th. This annual event takes place at the Sanibel Community Houes. Artist from all over come to display and sell their creations. The best place to park for the Sanibel Rotary Arts & Crafts Fair is across the street at the Herbb Strauss Theater. Crossing guards will be at the street so you can cross safely. There is a sugguested donation of $5 for entry and they also ask that you bring non-perishable food items to benefit the Fort Myers Soup Kitchen. Over 100 artists will be on hand at the Sanibel Rotary Arts & Crafts Fair with beautiful items that you can view and purchase. They also have food and drinks for sale to enjoy while you are walking around. This is a great event to bring your kids to since there is a playground on the premises and the event is also pet friendly. For more information be sure to check out the Sanibel Rotary Arts & Crafts Fair website as well as Sanibel Rotary Arts & Craft's Facebook page. Check back after Sanibel Rotary Arts & Crafts Fair for videos and photos we took from the event! Be on the lookout for us with our GoPro camera filming! We had a great time at the Rotary Arts & Crafts Fair! It was held both Saturday and Sunday the 14th & 15th and we ended up going on Sunday. It was the most beautiful day out! The island was packed and most of them were at this fair! There were so many amazing booths at the Rotary Arts & Crafts Fair with great things to look at and buy. One of our favorites was the man selling his handmade benches and chairs with fish carved into them. They were beautiful! Brendan loved the one with the tarpon on it. Our other favorite exhibitor at the Rotary Arts & Crafts Fair was the photography by Dennis Goodman. They were beautiful photos taken on Sanibel of views and wildlife and displayed on canvas. They were absolutely STUNNING! I wanted all of them. After walking around the Rotary Arts & Crafts Fair, we headed inside the Sanibel Community House to check out the Silent Auction. This was a HUGE silent auction. The Sanibel-Captiva Rotary Club got a lot of donations from many of the island businesses. There were great items varying from art pieces to vacations and gift cards to island restaurants. I ended up bidding on and winning 2 tickets on the Thriller boat. 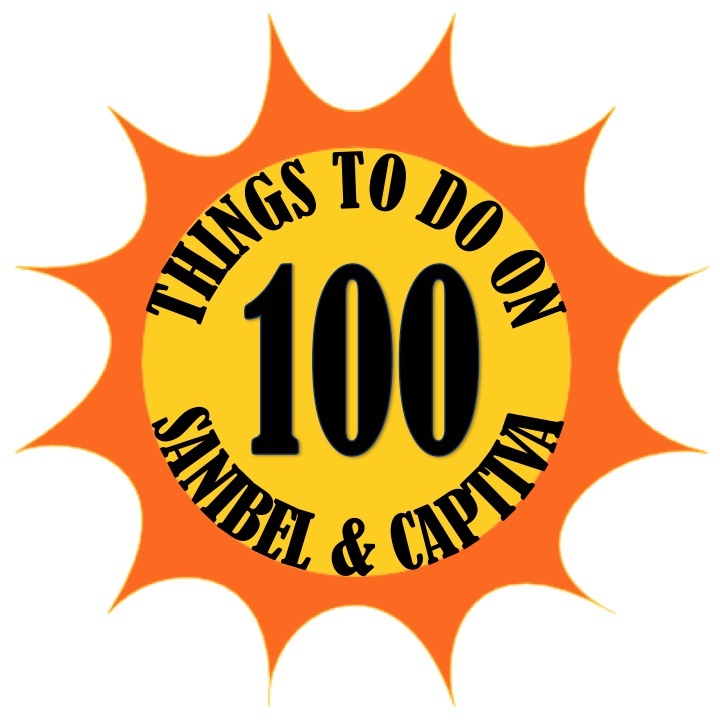 I will definitely be featuring my trip on a future 100 Things to do on Sanibel & Captiva. We had a perfect day at the Rotary Arts & Crafts Fair and we will keep you posted as to their next great event!